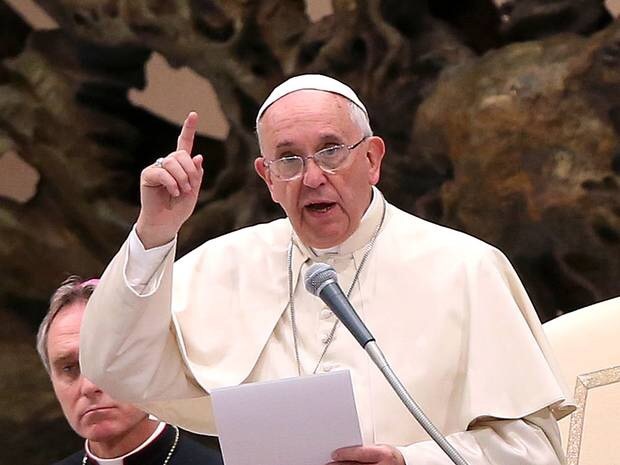 CAIRO – Concluding his three-day visit to Turkey, Pope Francis has confirmed that Islam is a religion of peace, rejecting rants targeting Muslims over acts committed by a minority group. “The Qur’an is a book of peace. It is a prophetic book of peace,” Pope Francis said, The Washington Post reported on Monday, December 1. During his visit to Turkey, the Argentine Pope met President Recep Tayyip Erdogan, Prime Minister Ahmet Davutoglu and the head of Turkey's religious affairs directorate, Mehmet Gormez. He also visited the Blue Mosque after a short tour of Aya Sofya, during which he offered prayers alongside the Turkish Mufti of Istanbul. The Pope -erted that was wrong for anyone to react to terrorism by being "enraged" against Islam. “You just can’t say that, just as you can’t say all Christians are fundamentalists,” he said. Pope Francis called on Muslim leaders to issue a global condemnation of terrorism to help break the stereotype that Islam and vio-ce are innately linked. The suggestion was first made during the Pope’s meeting with the Turkish President Tayyip Erdogan last Friday. “I told the president that it would be beautiful if all Islamic leaders, whether they are political, religious or academic leaders, would speak out clearly and condemn this because this would help the majority of Muslim people,” he told reporters aboard the flight, the Independent reported. The 77-year-old Pontiff’s visit is the fourth by a Pope to Turkey. In November 2006, Pope Benedict XVI visited Turkey and pra- at Istanbul's Blue Mosque as well. A number of Muslim leaders around the world have overtly condemned the Islamic State, issuing strong-worded statements to deny any relation between Islam and the militant group. Two months ago, Sheikh Ahmed el-Tayeb, the Grand Imam of Al-Azhar, the highest seat of religious learning in the Sunni world, has condemned ISIL, accusing it of serving a “Zionist” plot to “destroy the Arab World”. Earlier, Saudi Grand Mufti Sheikh Abdul Aziz al-Sheikh condemned Al-Qaeda and the Islamic State jihadists as “enemy number one” of Islam, urging urged Muslims to take up arms against the militant group’s members as aggressors who abuse people’s lives, possessions and honor. The International Union of Muslim Scholars (IUMS) has dismissed ISIL announcement of forming a “caliphate” in areas they control in Iraq and Syria, saying it lacked any Islamic or realistic aspects.